After the business loop splits we’re two miles from Illinois 54. 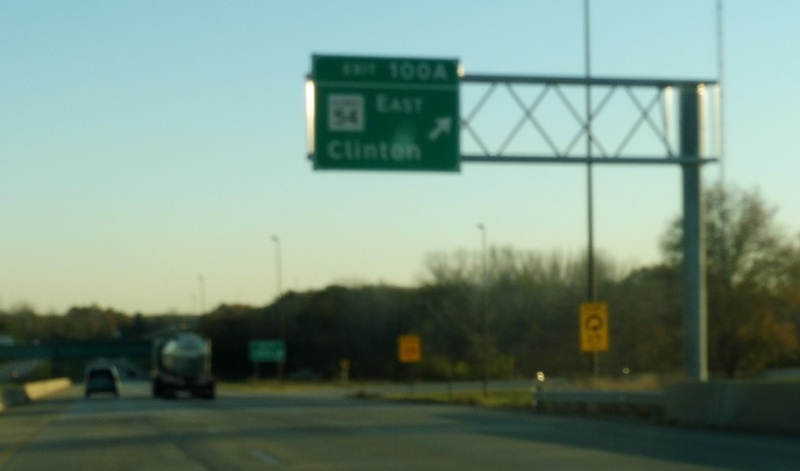 One mile to Illinois 54, which heads east to Clinton. 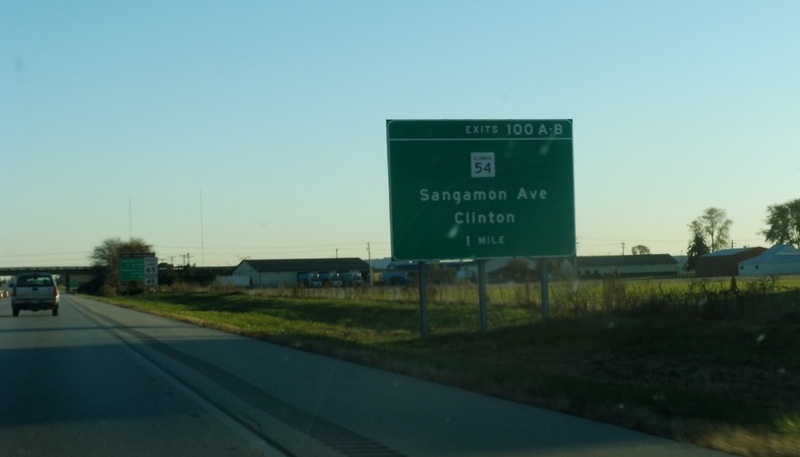 Exit for Sangamon Avenue as we enter Springfield. 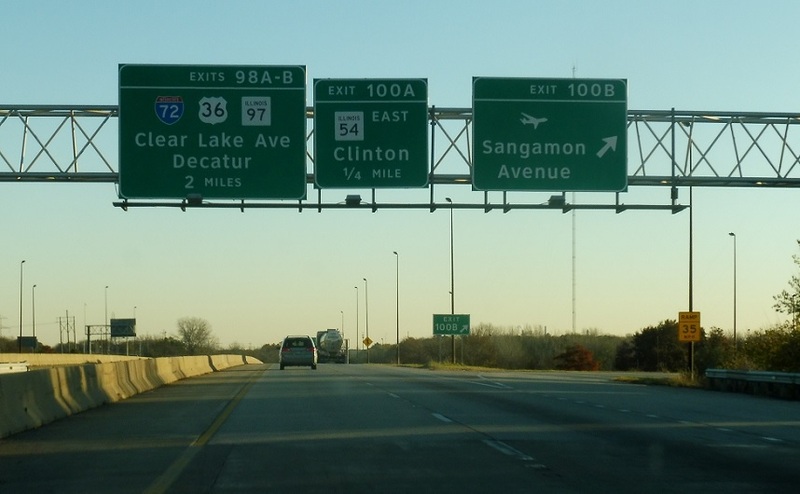 Illinois 54 is coming up with I-72, US-36, and Illinois 97 shortly afterwards. Exit for IL 54 east.